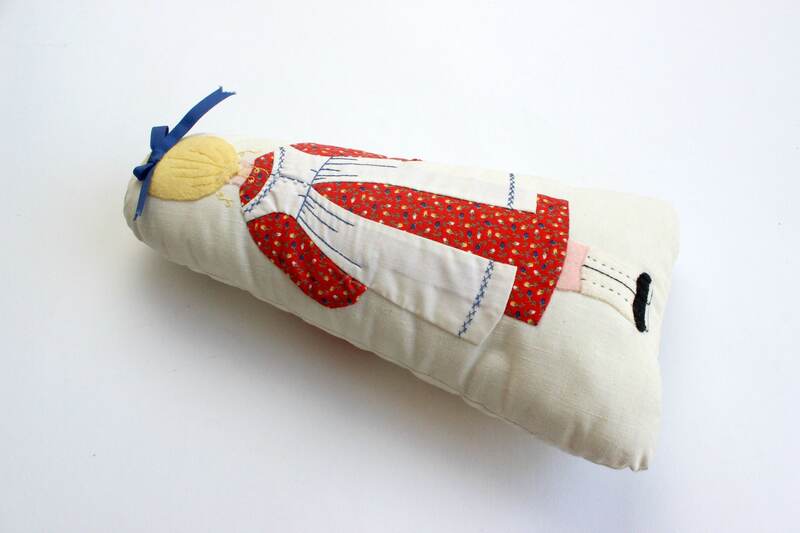 Hand made doll pillow. 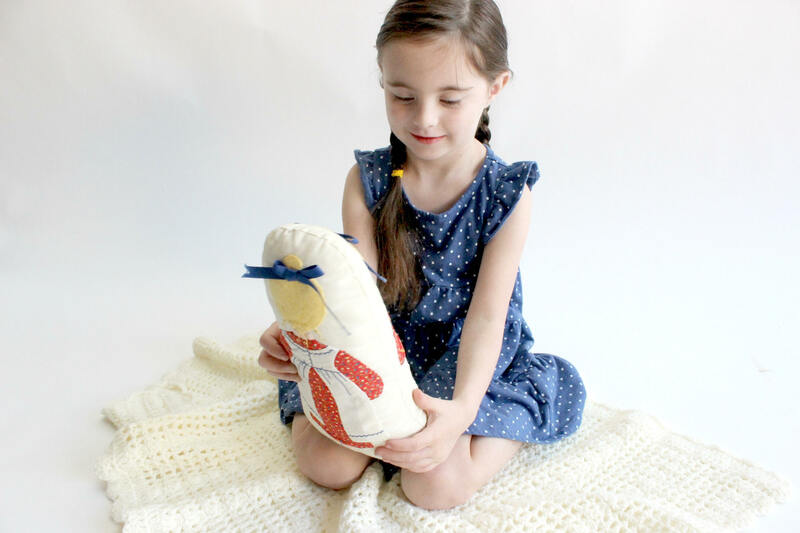 Soft toy for girls. 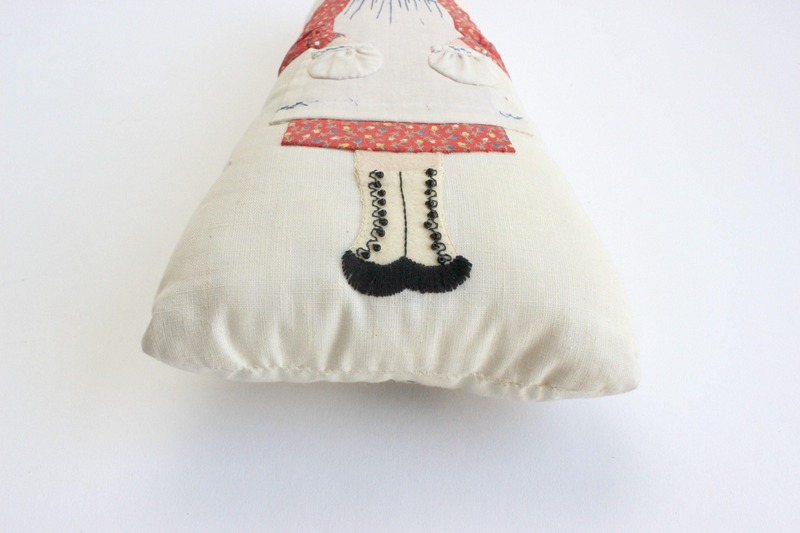 Vintage doll shaped pillow. One side shows front of a little girl and other side shows her back. She is wearing a traditional red dress and white apron. She also has little black boots and a blue hair bow. Lots of cute details on her clothes! 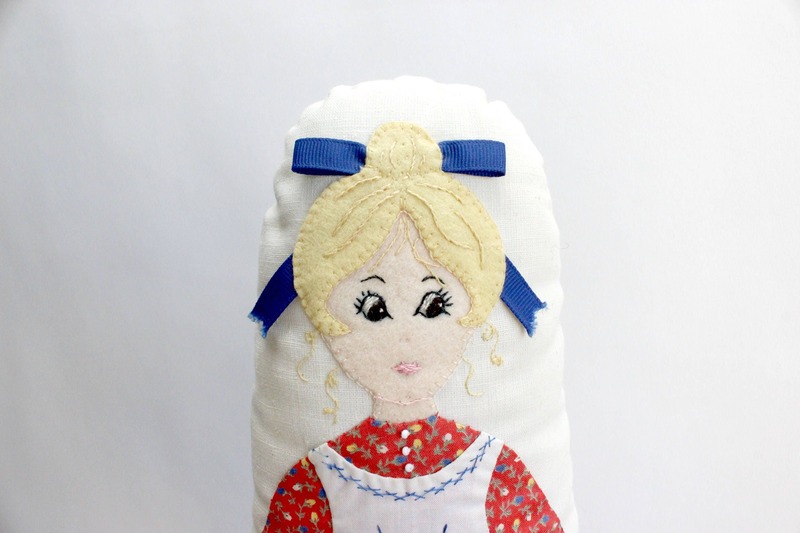 This unique pillow would make an adorable addition to a little girls room! 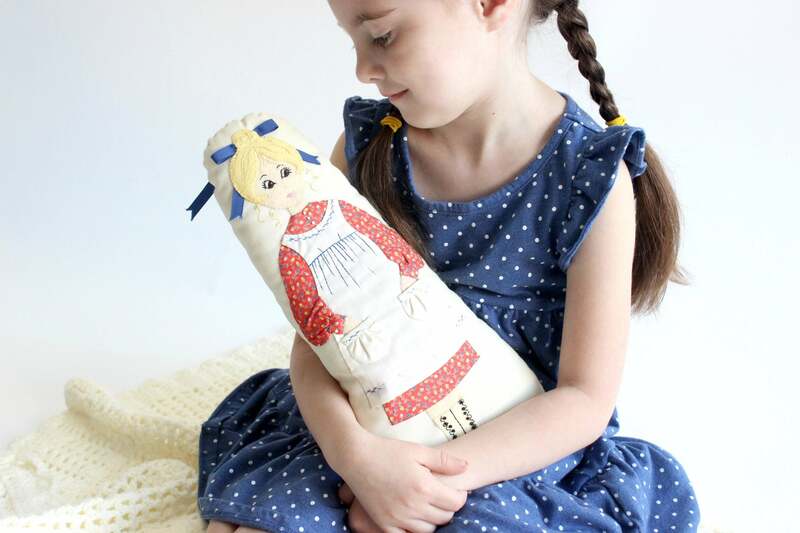 This doll is very charming but there is some wear and tear. Some very small stains can be seen. 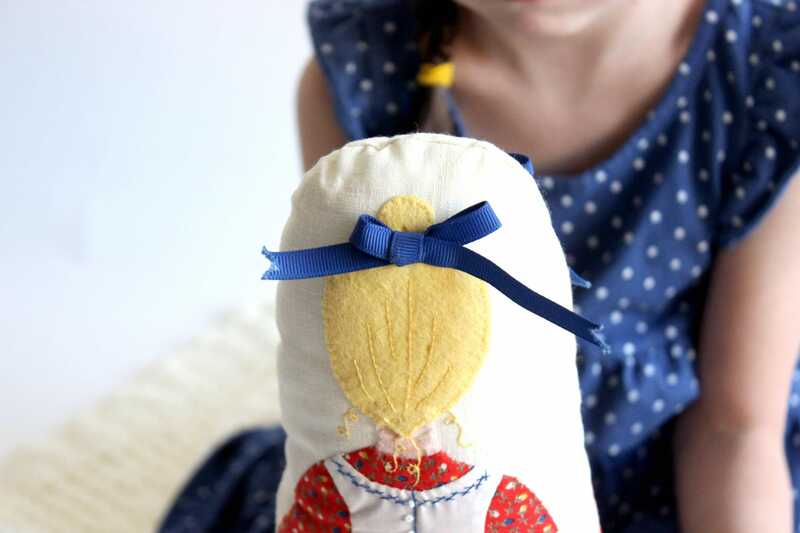 There are some missing threads on the dolls dress and some fraying on the ends of her hair bow. 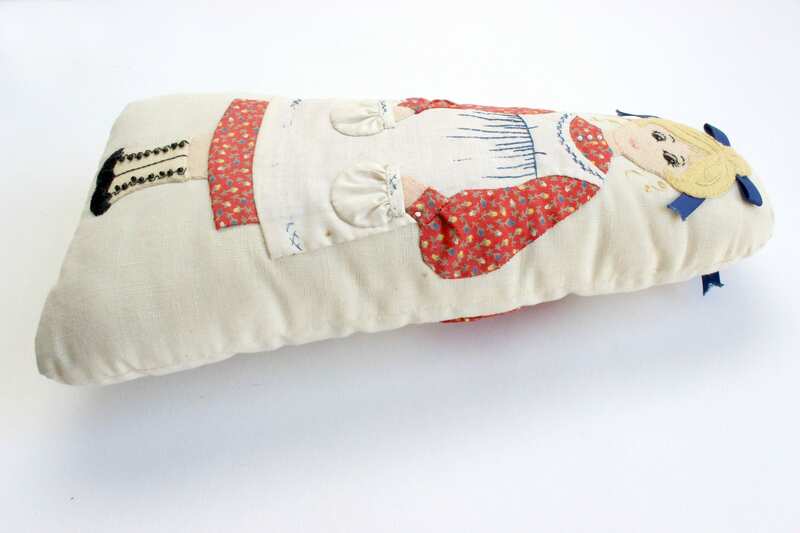 Small pillow measures 13 inches tall, 6.5 inches wide at the base and tapers in to 3 inches wide at the top. Pillow is approximately 3 inches thick.